Dave Spratt is IJNR’s Chief Executive Officer. For more than 20 years, Dave was a fixture at daily newspapers in Colorado and Michigan, writing and editing sports, features and news, nurturing young writers and staring longingly out the window where the real action was. Dave left inky fingers behind in 2009, when he took a buyout from the Detroit News to freelance and carry coolers for IJNR until being named CEO in January 2013. Dave is a lifelong lover of the outdoors and frequent end user of clean air, clear water and healthy habitat — human and otherwise. Easily distracted by wildlife, Dave lives just outside Ann Arbor, Michigan, with his wife Sarah, a neurotic terrier named Lily, and a laid-back pit bull named Flo, who all eagerly await the next visit home from their college-going daughters Emma and Natalie. Melissa wears a lot of hats at IJNR: She’s in charge of communications and often works on development, but sometimes she puts together programs too. Melissa lives in Missoula, Montana, and in addition to working for IJNR she’s a freelance writer covering art, architecture, science, and the environment. She received a B.A. in creative writing from Connecticut College, an M.S. in environmental studies from the University of Montana, and an M.F.A. in creative writing, also at UM. But writing all the time can get boring, so she’s done some other things too, including working as a professor, cook, DNRC lackey, and barn-dismantler, among others. When she’s not working she’s in the pottery studio, and when her hands aren’t covered in clay, she can be found gardening, cooking, and spending as much time as possible outside with her two-legged and four-legged friends. She and her husband Lagan enjoy getting out on rivers and being outnumbered by their three dogs. Adam Hinterthuer is an Associate Director. Adam is largely responsible for IJNR’s programs, which means he spends months lining up speakers, scouting locations and noodling topics in between programs, and days fretting about meeting schedules, herding cats and finding coffee. 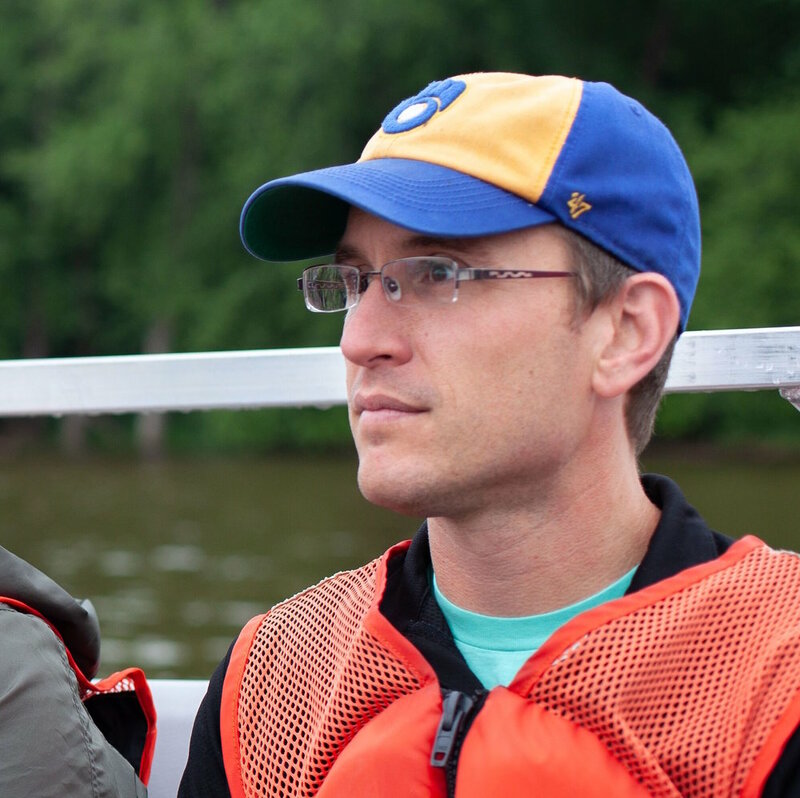 Adam also serves as outreach and communications specialist for the University of Wisconsin’s Center for Limnology (the study of lakes, more or less) where he gets paid to go out on boats and write about it. Adam lives in Madison, Wisconsin with his wife, Carrie, and their two daughters, Brynn and Maggie. He's striving to raise tomboy princesses, teaching his girls to build a campfire and catch a fish, while also willingly participating in tea parties and the construction of fairy houses. Adam received his master's degree in journalism from the University of Wisconsin School of Journalism and has a bachelor's degree from Carleton College in Northfield, Minnesota. While he undoubtedly peaked before he had kids, he hasn't completely given up his freelance writing career, and sometimes succumbs to lapses in judgement, taking freelancing gigs for various science and environmental publications. Carrie Hinterthuer is IJNR’s Director of Operations. In addition to keeping the books for the organization, Carrie is tasked with helping with the myriad things that keep the ship sailing smoothly. 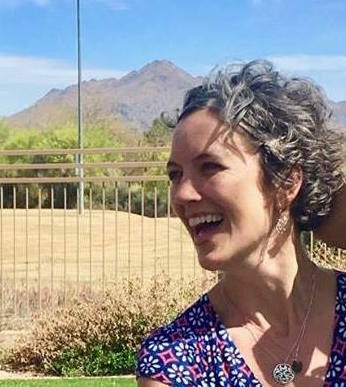 Carrie has her master’s degree in public health from the University of Wisconsin-Madison, and earned her undergraduate degree from Carleton College (where she met a certain IJNR director of programs). Carrie lives with Adam and their two daughters in Madison. Mike doesn’t have a split personality. Honest. But you should know that by day, he's a Senior Media Relations Specialist at Case Western Reserve University who cares deeply about Cleveland sports teams. Then when an IJNR Institute comes along, Mike goes all Digital Media Whisperer and makes like he cares slightly less deeply about Cleveland’s sports teams. Mike’s combination of environmental expertise (he was a long-time environment reporter and assistant metro editor at The Plain Dealer in Cleveland) and new-media savvy (he was the Dealer’s first-ever web editor and is a Kiplinger-trained disciple of all things online) makes him the ideal person to help Fellows figure out how to bend digital technology to their will in telling environment stories. Mike holds a BS from Kent State University, and is well acquainted with IJNR, having been a Fellow on three of our Institutes. Mike lives in the leafy Cleveland suburb of Painesville with his wife, Brie, and happens to be a remarkably young grandfather. (No, really, ask him about Brody, Farrah and Kensley some time — just be prepared for pictures…). Shweta currently lives in Syracuse, New York where she's wrapping up her graduate studies in magazine, newspaper and online journalism at the S.I. Newhouse School of Public Communications at Syracuse University. She's worked at The Daily Orange, SU's independent, student-run newspaper, where she's been able to cover important campus issues as well as issues that affect the greater Syracuse area. Before that, Shweta lived on Tybee Island, Georgia where she taught marine biology and environmental science to school groups. Shweta has a B.S. in conservation biology from the State University of New York College of Environmental Science and Forestry and she's passionate about reporting on environmental and science issues in engaging and understandable ways. Her dream job would be to work at a publication where she can help bridge the gap between science and the public, and she's also interested in international, cultural and education reporting. In her spare time, Shweta loves reading, climbing trees, exploring new places and learning new things. Lysandra Marquez lives in Phoenix, Arizona, and is a recent graduate of the Walter Cronkite School of Journalism and Mass Communication, where she got her Masters in Journalism and specialized in covering the Borderlands beat. She also holds a B.A. in Psychology from Arizona State University, and is bilingual, fluent in Spanish and English. During her time at the Cronkite School, Lysandra worked on video segments regarding the first-ever vaccine for bees, and anchored for the award-winning student led newscast, Cronkite News. She also traveled to Israel to report on water technology in agriculture, and also Queretaro, Mexico to speak to leading officials about the growing development of the aeronautic sector. Lysandra is actively seeking opportunities and wants to focus on environmental and social justice issues, but is open to covering a diverse list of beats as well. Her long term goal is to become an international correspondent somewhere in South America. When not writing, Lysandra enjoys spending time with her unruly Alaskan husky, Jolene, and listening to medleys of Led Zeppelin (a little too loudly, if you ask her neighbors).